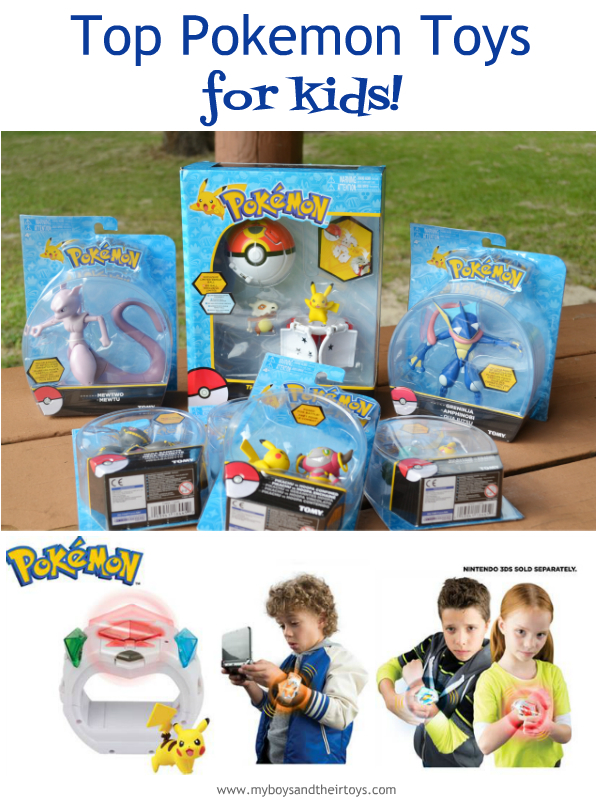 Top Pokemon Toys for Kids! Pokémon GO, the augmented reality game took the world by storm earlier this year. Adults and kids alike were busy tracking down as many Pokemon as they could. The game caught all sorts of media attention when streets were flooded with people on their phones trying to “catch’em all.” Since the return of Pokemon, stores everywhere are filling up with fun toys for kids. Today I’m sharing some of the top Pokemon toys available! We received these items in exchange for our honest review. All opinions are my own. 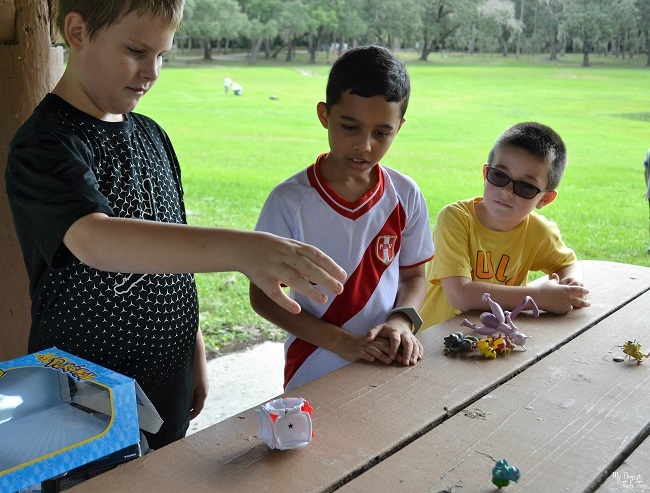 Throw ’n Pop Poké Ball – Challenge your friends to a battle with the Throw ‘n’ Pop Poke Ball Dual Set! This set comes with an Attacking Pikachu 2-inch figure with a Throw ‘n’ Pop Poke Ball and a never-released Throw ‘n’ Pop Repeat Ball with a 2-inch Cubone Figure! 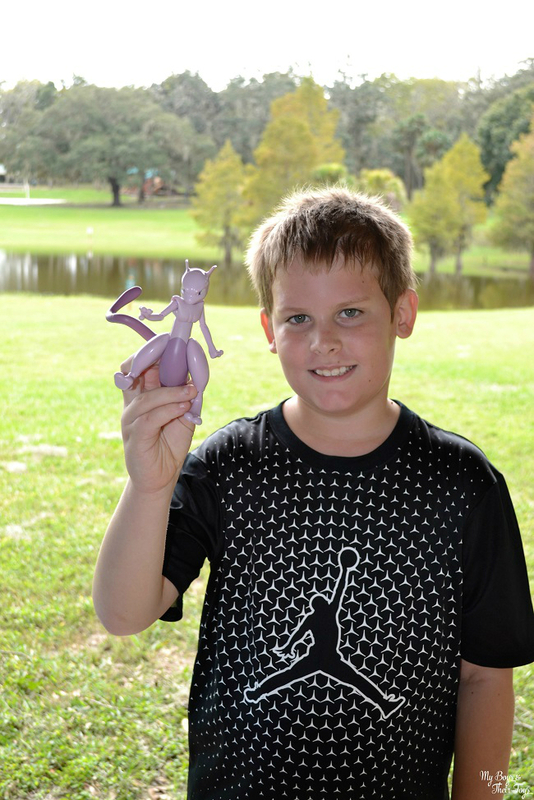 Load the Pokemon figure into the Poke Ball, close it, and get ready to throw your Pokemon into battle! Toss the Poke Ball onto the table…Upon impact it pops open, launching the figure into action! Whoever has the Poke Ball with the most stars on top wins! Pikachu vs Hoopa Confined Set – This pack includes a matchup of two beloved Pokemon posed for battle! Gotta Catch ‘Em All! All of these action figures work with the Throw ‘n’ Pop Poke Ball toy too. 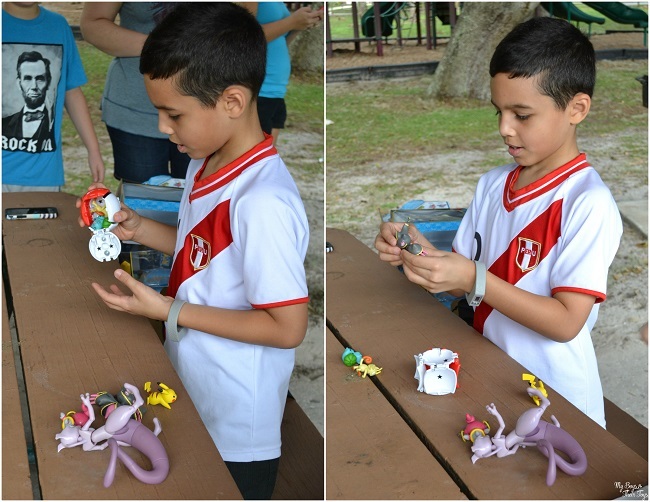 The kids had a blast hosting friends at our neighborhood park with their fun Pokemon toys! Everyone got in on the battle action with the Poke Ball Dual Set. Mega Banette – The limited, and collectible action figure is another favorite to add to your collection! Plus these iconic Greninja and Mewtwo 6″ action figures! Mewtow is pictured below. Coming soon is the Pokémon Z-Ring! For the first time ever, TOMY has created a Pokémon toy that interacts with Nintendo’s latest video game. Experience the world in a new way with the POKÉMON Z-RING and Z-CRYSTALS! Players can experience the Z-RING through imaginative battle play by pressing the button on the Z-RING to activate the different colors, lights and vibration with each Z-CRYSTAL! It’s also compatible with the Nintendo 3DS video game titles: Pokémon Sun and Pokémon Moon. The exclusive Z-RING Bundle on TOMY.com comes with the Z-RING, 12 Z-CRYSTALS and Pikachu Figure. The Z-RING can hold up to 6 additional Z-CRYSTALS with the active Z-CRYSTAL in place. It will be available November 18th and is expected to be a hot new toy this season. Pre-order now at tomy.com! What toy do you think your kids will enjoy most? When i was growing up in the late 90s pokemon were all the rage so now having my 6 year old daughter ask for pokemon for Christmas makes me smile. I love the way the decades kinda just always blend and repeat themselves in a new way. These are a great selection of Pokemon toys. My son and grandsons would love these. Great Pokémon toys would make a great Christmas gift. My 7 year old loves Pokemon, I haven’t been able to figure it out. Pokémon never went out of style at my house. I played the GameBoy ones with them when they were little.